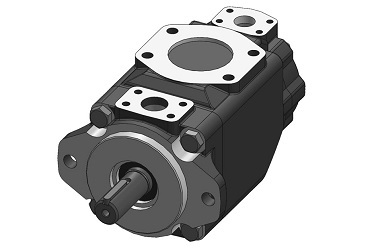 Our BD series, available as single or double pumps and suitable for industrial and mobile hydraulic systems, offers displacements from 10.8 cc/rev up to 426.7 cc/rev, working pressure up to 275 bar and speed range up to 2800 rpm; a wide choice of shafts, flanges and ports are available complying with SAE standards. From 16 to 150 l/min (4 to 40 gpm) at 1500 rpm and pressure 0 bar. From 71 to 237 l/min (19 to 63 gpm) at 1500 rpm and pressure 0 bar. From 198 to 403 l/min (52 to 107 gpm) at 1500 rpm and pressure 0 bar. 1500 rpm and pressure 0 bar. From 215 to 553 l/min (57 to 146 gpm) at 1500 rpm and pressure 0 bar. From 270 to 640 l/min (71 to 169 gpm) at 1500 rpm and pressure 0 bar.